Snow is forecast. We wait with bated breath. Services will grind to a halt, schools will close and we will make our annual pilgrimage to worship the fluffy white stuff before it melts. 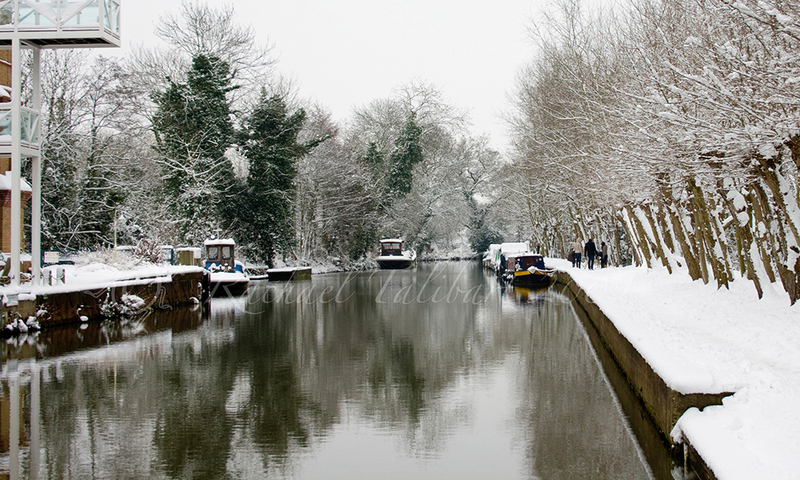 This entry was posted in photography and tagged photographs, photography, Rachel Cohn, snow, snow photographs, Surrey, Wey Navigation, weybridge, winter by Rachael. Bookmark the permalink. And what photo opportunities the snow brings! I like your romantic take of the snow. No fair. We never get snow here! I hope you enjoy every moment of it! We so rarely get snow anymore. Have fun! Well, it was just a little sugar frosting, gone by 9am. Rain since. Really fun play on words in the title. Lovely scenes, too. Did you camera get what it wanted? Just rain here. So very English.. 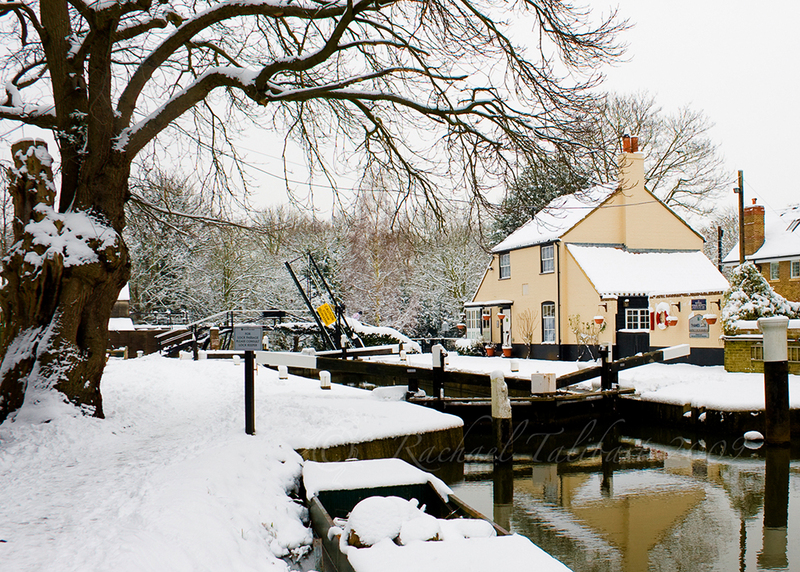 I love the canals and used to walk them often when I lived in Herts.. I miss them. We have a rather lovely one here, the Wey Navigation. In fact, strictly speaking it is not a canal but a navigable river. It has an interesting history, having been completed 100 years before the canals. Clever title. Lovely photos. And that quote is leading me on a quest… I wish snow would bring things to a halt here. Sometimes it does when it’s a really big storm, but not as much as I often wish! Thanks, Sue. Yes, I think I might look into Rachel Cohn’s work a bit more too, when time permits. It sounds interesting.